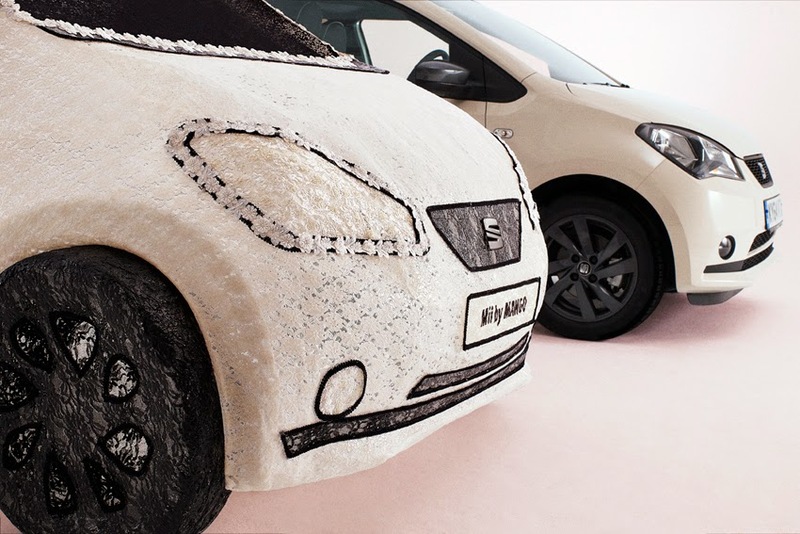 Seat unveiled the world's first fabric car, constructed entirely of lace, with jewel trim embellishment. Celebrating the UK availability of its Seat Mii by Mango city car, the fashion-inspired full size replica was designed and constructed in London over a period of three days. "This is Seat's first fashion collaboration and what better way to celebrate our partnership with Mango, than to create the world's first fabric car. The Mii by Mango city car provides the most stylish way to travel and shop and we're delighted to have incorporated these values into such a creative and innovative project," said Chris Stevens, Head of Marketing, Seat UK. Ashley Joiner, Creative Director and graduate of Central Saint Martins, was brought on board to manage the project, from conception through to delivery. Ashley added, "Lace is one of the hottest fashion trends right now, so it made sense to use lace as the primary material for the Seat Mii by Mango, a fashion-inspired city car. I'm absolutely thrilled to be part of this project, which combines my film and design experience."